Captain Andrew Derr, Montauk, LI, NY, a few days ago. If a fueling mistake by his mate was to have added E15, Derr’s boat engine would be soon crippled and all aboard put in harms way. The $20,000 engine destroyed and no warranty to protect the captain. Photo John Papciak. 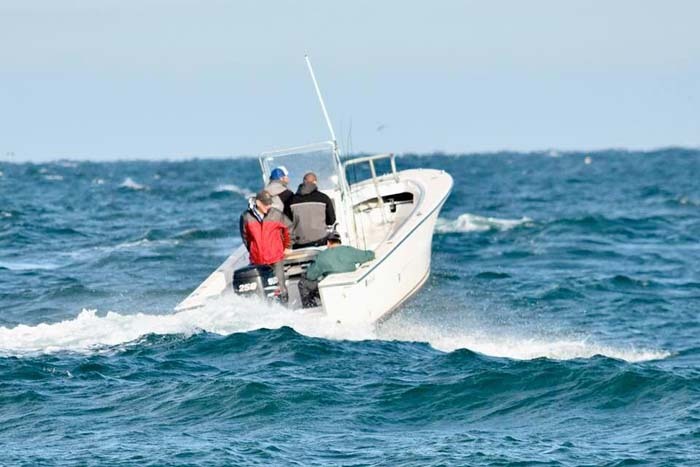 The nation’s largest advocacy, services and safety group for recreational boaters, Boat Owners Association of The United States, reacted negatively to the recent news of the Trump Administration’s plan to permit the sale of E15 (15 percent ethanol) fuel year-round. Under the Administration’s new proposal, however, the Environmental Protection Agency would grant a waiver to the Clean Air Act to permit the sale of E15 in all 50 states year-round at the same roadside gas stations where most recreational boaters refuel their trailered vessels.